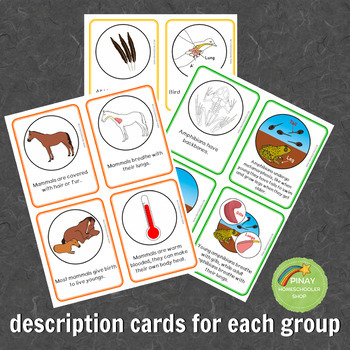 This Montessori-inspired learning pack contains cards, puzzles and posters for hands-on learning, in introducing animal characteristics. 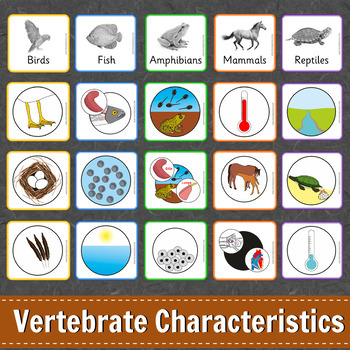 This learning material will help the child understand the characteristics of vertebrate animals: birds, fish, mammals, reptiles and amphibians through sorting activities and puzzles. 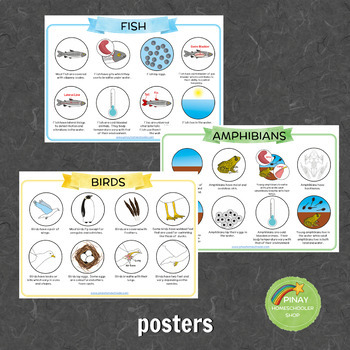 5 letter sized posters which contains visual characteristics for each group of animals. ✅To extend work, we have Vertebrate Animals Sorting Cards that will perfectly go along with this material.